Bethany from Utah kept her great-grandmothers Hymn book close to her heart and stored it away safely and hidden away. After being struck by a finical crisis, she decided to get her most prized possession evaluated to help pay off her debt. 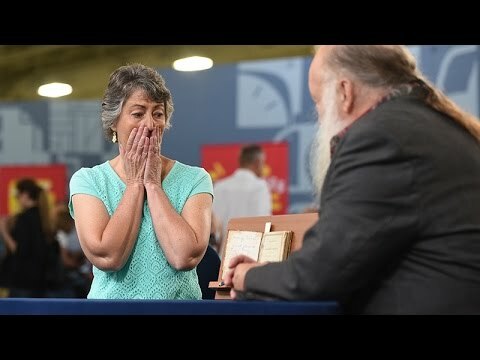 Bethany, in fact, was holding onto a 19844 Bellows Falls Latter Day Saints church hymnal and after getting it appraised on Antiques Roadshow she was flabbergasted by its valuation.